Sipadan is one of the world's Top 5 diving destination. Nearby islands include Mabul and Kapalai. Experience the underwater wonders of Sipadan, Mabul and Kapalai. Sipadan, one of the world's most species-rich and biodiverse marine areas in the world, is home to spectacular underwater scenaries including coral gardens, reefs, walls and caves. Whether you are an passionated underwater photographer or simply want to experience diving for the first time, Sipadan, Mabul and Kapalai is the place to go. Relax and watch the sunset over the waters of Mabul island and go scuba diving with swirling tornadoes of barracudas at Sipadan. All the resorts are located on Mabul Island and Kapalai. 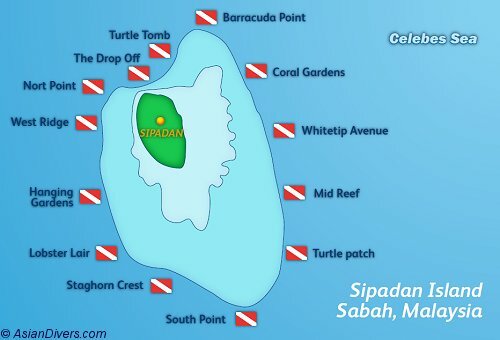 Since 2005, and for environment protection purposes, there are no resorts on Sipadan Island. Further away, Mataking Island Resort also sends divers to Sipadan. Additionaly, the liveaboard Celebes Explorer is also bringing divers to Sipadan. Let our Sipadan experts assist you choosing the right dive resort according to your wishes and needs.